Within any business, there are concerns and considerations about how the business is effectively managed and run. The security and success of the company and business should always be at the forefront of your mind, as well as ways in which you can reduce risks and potential oversights or fluctuations within your business. Developing a risk management plan can be beneficial to your business even if you never need to implement it. First and foremost, it will force your company to be proactive regarding assessing any potential risks long before any problems come into fruition, which can see solutions to these problems being devised and discussed that will give employees within the company a sense of reassurance. 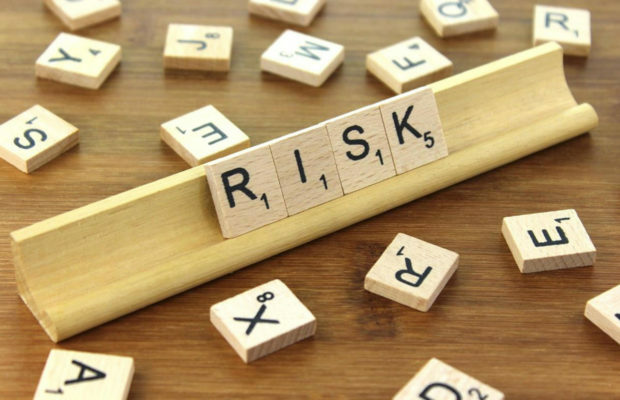 It’s fiscally wise to have a risk management plan, as financial concerns can also be taken into consideration when working out the options, and any concerns can also be prioritized in terms of financial risk and fall out. Your plan will likely involve a risk strategy, where you may choose to change plans to avoid the risk, take steps to mitigate the risk to reduce the impact, accept the chance of negative impact and set up contingencies, or seek third-party advice to manage the outcome. As all businesses are aware, implementing a clear and concise financial model is essential if you hope to be successful as a company. You should have a revised budget, as well as strategies in place to deal with any unforeseen upsets, as well as financial statements so that you can keep track of outgoings. You should also have statements included in your financial plan in regards to where your company expects to be monetarily in the near future. Details of your income, profit, and loss should be included in a financial part of your business plan, as well as a balance sheet that includes liabilities such as wages, salaries, taxes, rent, and utilities. If you fail to accurately budget and clearly communicate your financial situation, you are more at risk of potential losses later on in the game. You can cut out the risk of this through appropriate planning that can give insight into any potential problems long before they manifest themselves and do damage to your business. Relationships with third parties are one aspect of your business you may overlook regarding the risk factors involved. However, collaboration and communication with third parties can, as well as being beneficial to your business, also be potentially damaging to your company security, due to potential cybersecurity risk. Third-party vendors and negotiations are an area to be aware of because if an organization outsources certain responsibilities to third parties, or uses them in data handling or within its supply chain, the weaknesses within that business can then put the original organization in a vulnerable position. Third-party breaches are common due to these parties having less competent systems in place regarding data security, meaning there is more chance of data exposure, with hackers and fraudsters finding a way in through these weaker databases. The third-party vendor, therefore, creates a weak link that can affect the main organization, even if the latter’s operating systems have more advanced security measures in place. The debate regarding who is responsible for third-party vendor breaches is a topic of discussion because if a breach does occur, the main organization will often be held accountable for any security breach, regardless of whether it is actually the company’s fault. This is something to consider before going into negotiation with any third-party vendors, as through appropriate checks and a revised audit of the vendor you are outsourcing, you can help to prevent such a data breach from occurring. Data protection applies to more than just third-party vendor considerations, as ensuring you have the latest software in terms of data protection can save your business from potentially massive losses that could be caused for a number of reasons, such as data breaches as well as faulty hardware. The appropriate backup software is worth investing in for not only your businesses’ virtual data but also your employees’ and customers’ private and personal information. Advancements in cloud technology have made it easier for companies to securely store their virtual data on the cloud, where it can be held on a private network shared between individuals in the company at the discretion of its users. There are various ways in which a company can reduce risks that could be detrimental to their company. Through a devised risk management strategy, a structured financial plan, consideration of third parties and appropriate data back up systems, you can provide a basis on which your business is less susceptible to risks that could potentially affect both its success, and productivity.